At the E3 debut of Project Natal, Microsoft's Don Mattrick called the controllers we've known and loved "a barrier separating video game players from everyone else." Wait. Isn't that the point? Should video game controllers really disappear? We've heard a million times about how the cultural presence of games is growing exponentially thanks to the watershed of Nintendo's motion control, burgeoning casual audiences and IP that now more neatly spans the world of film, games and books than it has in the past. 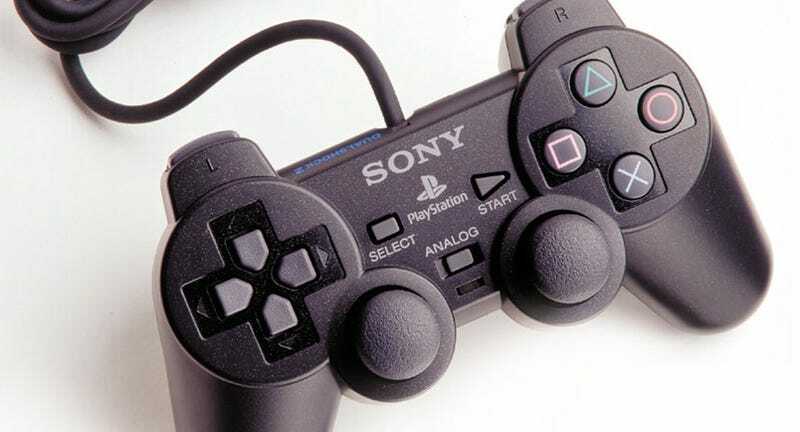 At that same E3 event, renowned film director Steven Spielberg referred to the controller as the last hurdle to overcome in the quest to make video games approachable to everyone. With all this talk about new audiences and the tech designed to serve them it's easy to get excited. It's also easy to feel a little lost in the shuffle. For gamers who've been there since before anyone cared about making games "for everyone," having that object in our hands was more than a way to access the game world – it was half the appeal. Anyone who's ever pulled off a chain of combos in a console fighter can tell you about the joy of expertise and control. More than that, the controller is a cultural object that has for decades defined a pastime – there are those who know how to use it and those who don't, and being one of the skilled has always been a way for gamers to self-identify. Who would we be without it? What's So Wrong With Some Barriers? As creative director and co-founder of New York game development studio Area/Code (best known for Parking Wars), Frank Lantz's work focuses on using social media and connectivity to bring games and game-like entertainment to entirely new audiences. But he still sees the value in keeping some barriers intact. "Sorry to sound elitist, but I like that not everybody understands how to play games, and I doubt that I'm alone," says Lantz, who's also director of New York University's Game Center. "That games require effort and a particular kind of tricky literacy is one of the things that makes them cool. Would pianos be better if everyone could play them? Would punk rock sound better if your grandparents liked it?" Gamers may suffer some kind of identity crisis as the familiar markers of their beloved niche evolve – or disappear entirely. The solution to that one's easy: Get over it. Like it or not, it's clear that gaming's not a "niche" anymore, and its shape will change. The more pressing issue is whether or not controller-less gaming will truly make the medium richer. Making something "more accessible" doesn't necessarily make it better. "It's not about reinventing the wheel," Spielberg said of Natal at E3. "It's about no wheel at all." But the wheel remains an object essential to mobility no matter how transportation advances – even airplanes have them. Designer and Savannah College of Art and Design professor Brenda Brathwaite's been said to have more continuous years working in the game industry than almost any other developer, and her concept of game design has evolved to encompass both digital and non-digital play. In addition to designing games and teaching others to do the same, Brathwaite works on tabletop and board game projects, where physical game pieces are a crucial component. For her, it's all part of the same world. "Baseball, the Olympics, Ticket to Ride and Bionic Commando are all games, and they share certain core characteristics, one of which is the ‘controller,' the way in which the players interact with the rules to produce the play," she says. Her latest project, Train, is aimed at provoking players to think about the Holocaust. Players lead grim, gray boxcars full of little yellow pawns. The draw cards along the way that release some of the figurines or slow the train ride. Only when the first train reaches the "goal" do players learn that their final destination has been the Auschwitz concentration camp. When Brathwaite unveiled it at this year's Triangle Game Conference, audiences were awed, and some were even moved to tears. The train's tracks are laid out on glass panes that intentionally recall Krystallnacht, and the game's rules are written on an SS typewriter — the interactions between player and objects are part of what inspire Brathwaite as a designer, and part of what makes Train so impactful to players, she says. Brathwaite meticulously and thoughtfully considered each and every object in Train, and how each could support the game experience. "We often talk as game developers about creating situations where the player has to make truly meaningful choices," she says. "I wondered: What would happen if I put that much attention into each component of the games themselves?" Reducing the physical interface, then, might mean less immersion for games. Is The ‘Invisible Controller' A Fantasy? The argument in favor of controlling a game with your body is that it'll make the experience more like interacting in a lifelike way – but Lantz suggests this idea might be as much of a fantasy as "total" virtual reality. "Games are experiences that are stylized, constrained, constructed," says Lantz. "They'll always be some aspect of the interaction that needs to be learned that the player needs to become literate with." For example, the experience of playing Wii Tennis may be just enough like real tennis that the player is more aware they're playing a video game – not less. The idea of a perfect, "invisible" controller, then, is just as much a fantasy as the "seamless" simulation – and Lantz believes these two fantasies are interrelated, potential components of the same unrealistic goal. "People associate these two things because of the power of the fantasy of some perfect, seamless, idealized game that's ‘just like life' — as if there could be such a thing, as if it would even be useful if there were," says Lantz. "By the way, something that no one mentions is that one of the reasons that the Wiimote is so intuitive is that people know how to play tennis!" At some point, a Wii Tennis player must have had someone show them how to hold a real racket, or have had the experience of viewing tennis matches in order to understand the way racket and ball are intended to interact. A tennis racket is already a perfect controller for an existing game – without it, Wii Tennis wouldn't be "intuitive" at all, Lantz says. Does that mean motion controls are limited to only translating things people already have an idea of how to do? If so, that's quite a limitation. Lantz and a community of professors, veteran designers and authors like Eric Zimmerman and Katie Salen have defined this principle as the "immersive fallacy" – it may seem like the logical next step toward immersion to make the controller first more like a real object, and then to make it disappear, but that progression actually restricts games, not expands them. With no controller at all, the game designer has two choices: simulate the exact actions, or represent complex verbs through short-cut, symbolic motions that will by nature become complex enough a language that it would have been simpler to use a controller to begin with, says Hecker. "Would ICO be better if you had to stand up and yell and hold out your arm all the time?" he asks. "Going the other direction… is raise-your-left-hand-and-shake-it any more meaningful or accessible than push-the-triangle-button?" Despite a need to be wary of hype, developers still have good reason to be excited about the possibilities in new control schemes. Lantz hopes that the physical interaction will help the game experience itself come to the forefront, instead of being overshadowed by talk about hardware and devices. "If you think about the quintessential image of GTA IV, it's basically a screenshot," says Lantz. "But if you think about the quintessential image of Rock Band or Wii Sports, it's an image of people in a room doing something. The real human bodies of the players are part of the game! It's wonderful!" And new technology always means exciting new ways to look at game design and player behavior. Designers like Brathwaite who value the tangible, like Hecker who's pleased with the possibilities in the abstract, and like Lantz, who loves modern controllers, can enjoy what Lantz calls "new opportunities to solve interesting problems and experiment with new game structures and new kinds of experiences." That means that, for the moment, a big appeal for developers in controller-less input schemes might be their novelty. Gesture-based gaming, living room peripherals and other non-traditional control developments may have done a great deal to expand the audience and introduce new types of gaming experiences – but perhaps a "novelty" won't supplant our familiar controllers in the end. After all, the wheel is not in need of reinvention. And if it ain't broke, why fix it – or throw it away?